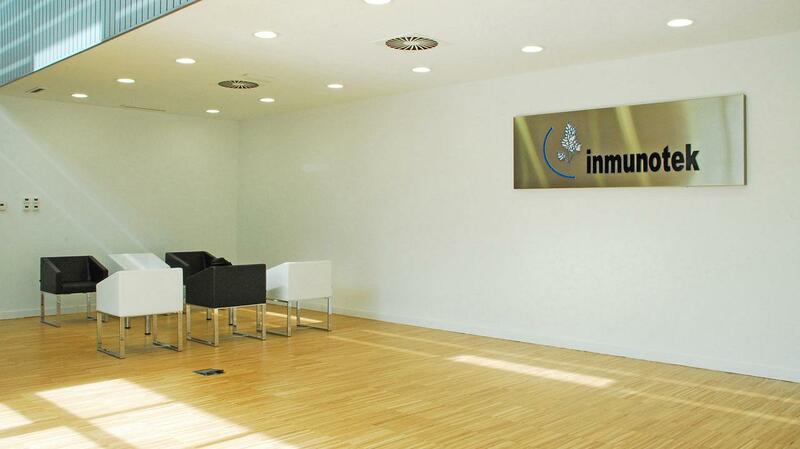 Inmunotek, is a pharmaceutical laboratory which develops, manufactures and markets products for the diagnosis and treatment of illnesses in the field of allergies and immunology, which have moved most of their current facilities from San Sebastián de los Reyes (Madrid) to the Technology Park Alcalá de Henares (TecnoAlcalá). 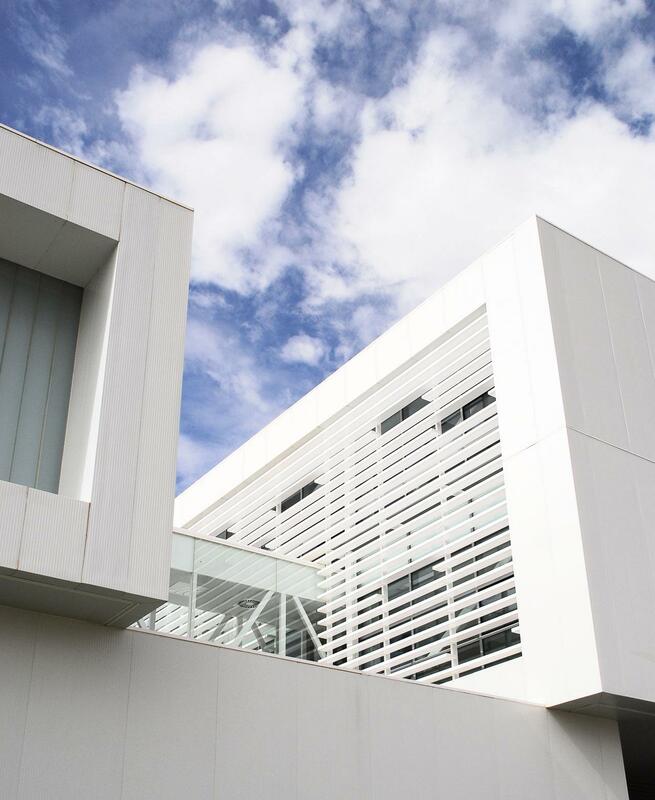 It is located on the campus of Alcalá University, TecnoAlcalá is a park oriented to biotechnology which belongs to a network of parks and clusters of the Madrid Network. 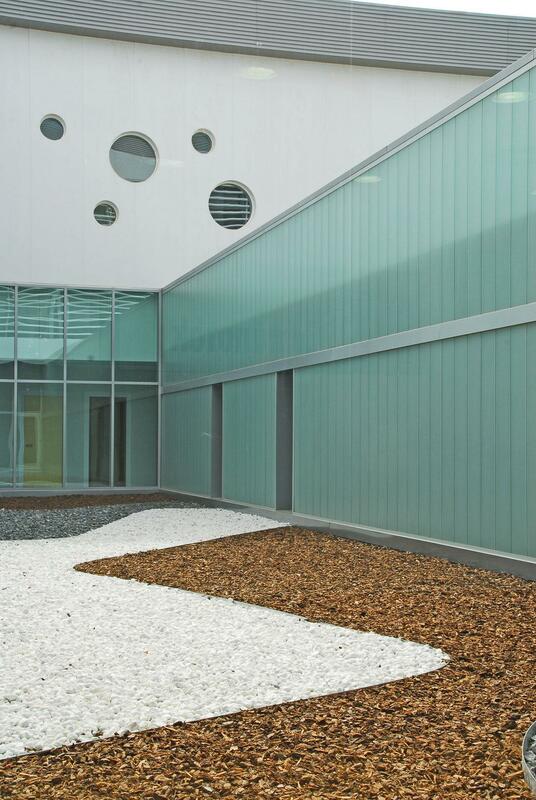 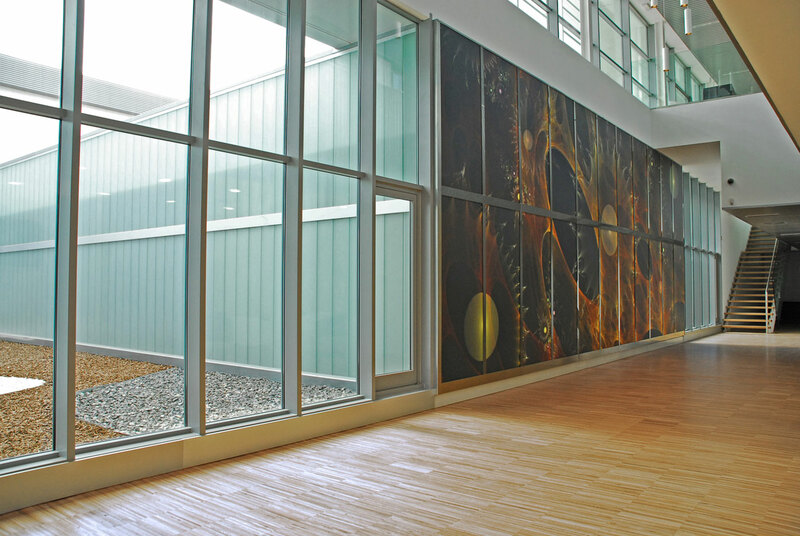 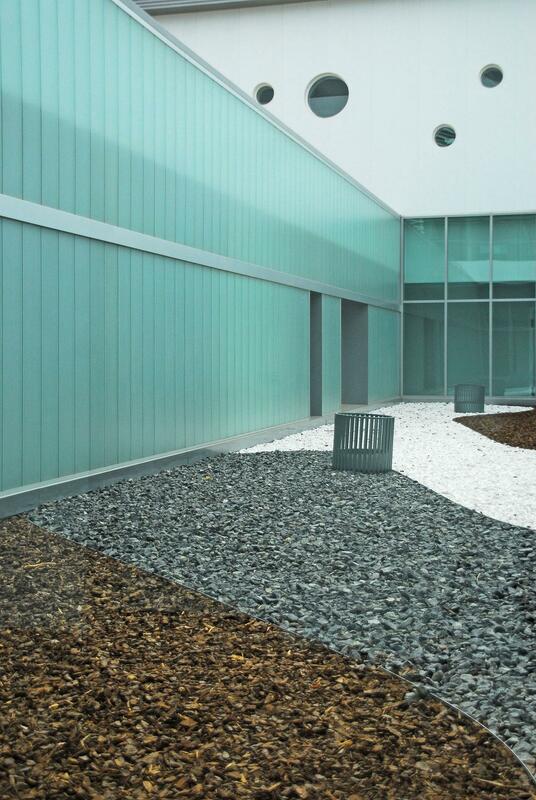 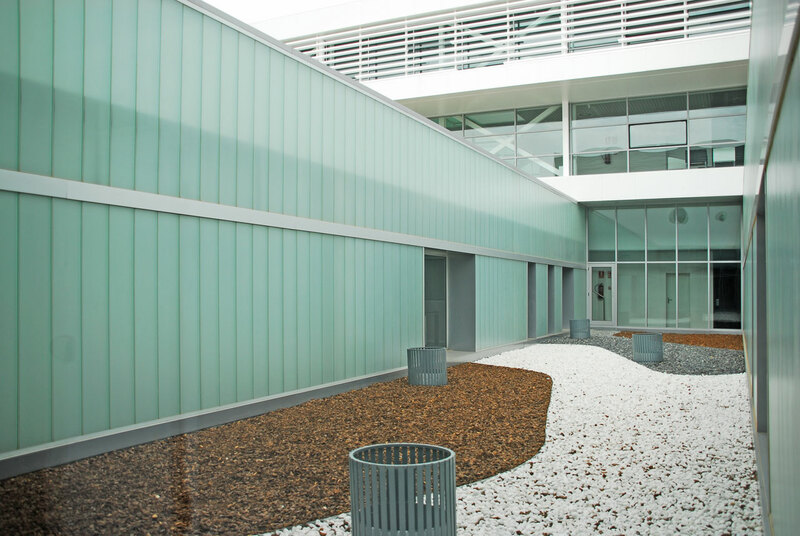 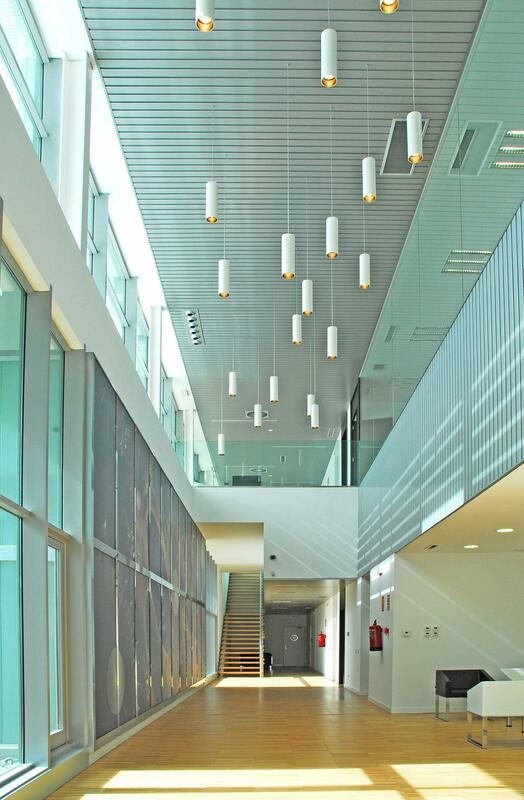 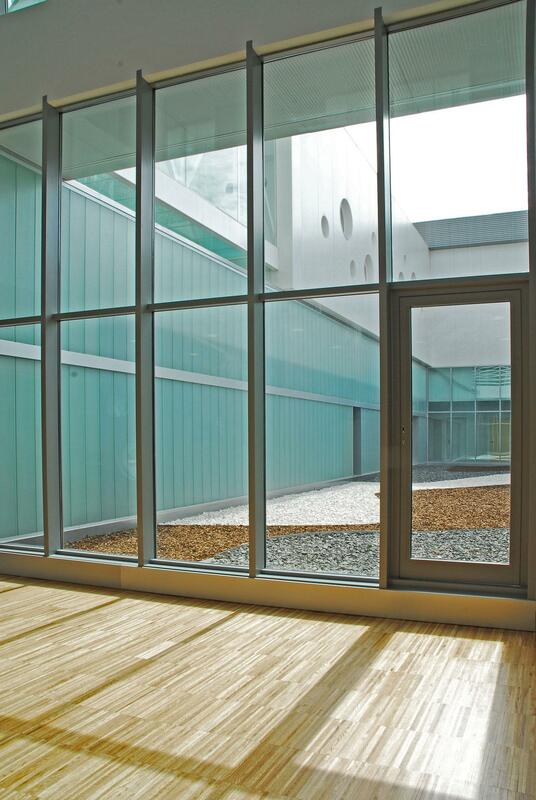 The new facilities with a surface floor of 4900 m2, have modern laboratories for production and R&D. 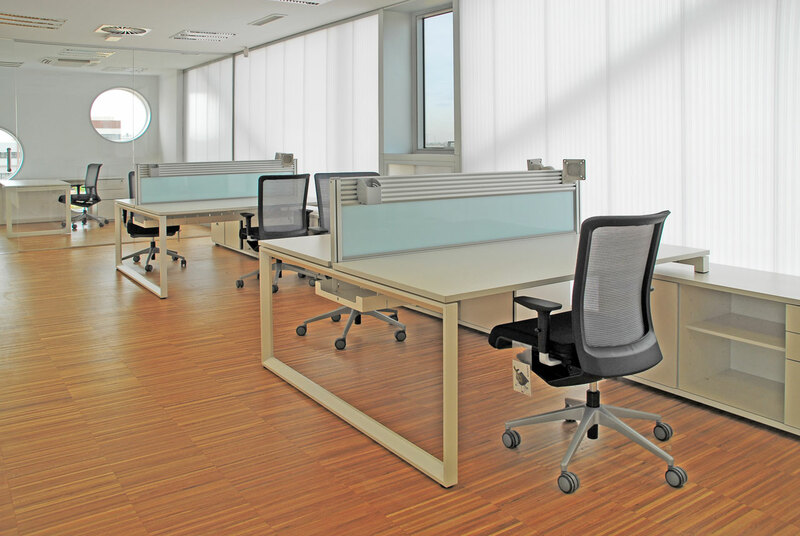 LambdaTres, the specialised company in integral project management and the refurbishment of offices, has developed this project using Actiu office furniture to configure different environments. 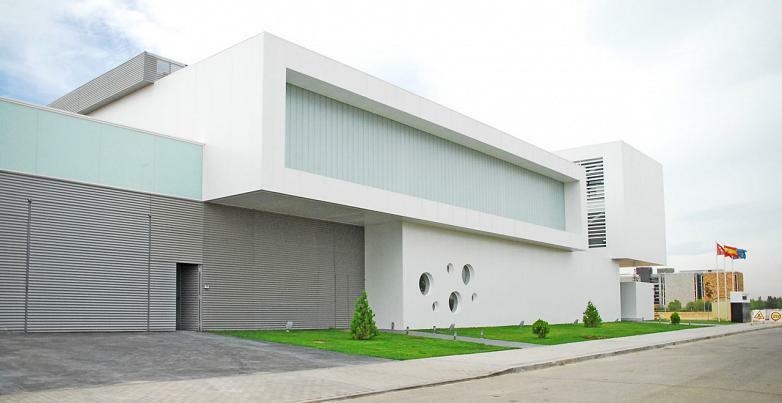 The new facilities of Inmunotek stand out from the exterior for its cubic shape and the large gaps in the facade which fill the interior with light. 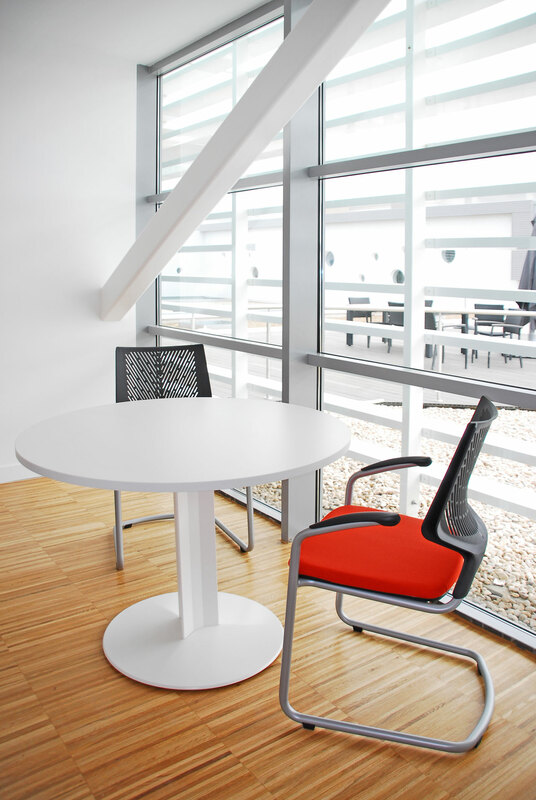 Its modern and functional architecture enables LambdaTres to create a place where office furniture coexists perfectly with the environment. 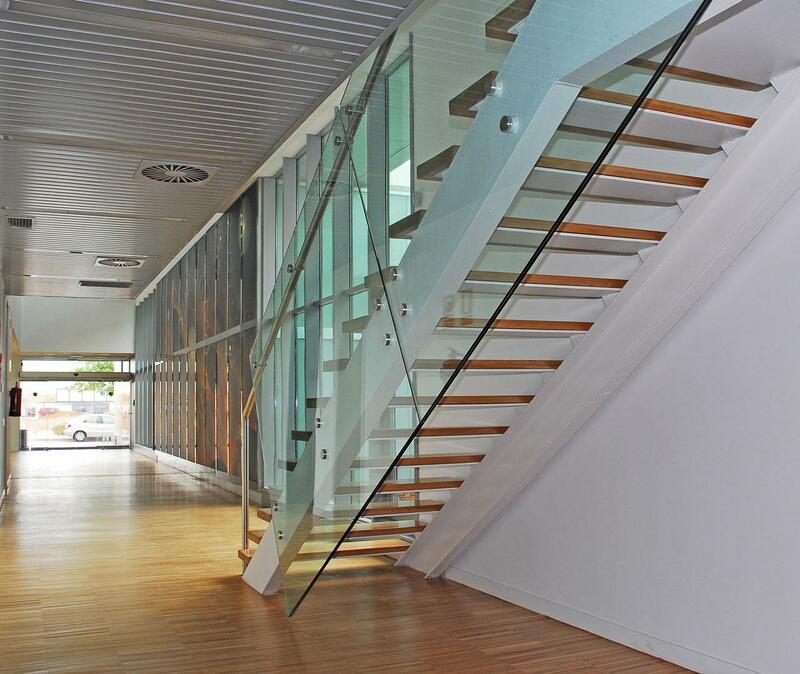 The building is divided into three floors. On the ground floor the laboratories can be found, as well as several meeting rooms, for which the Vital Plus desks have been used. 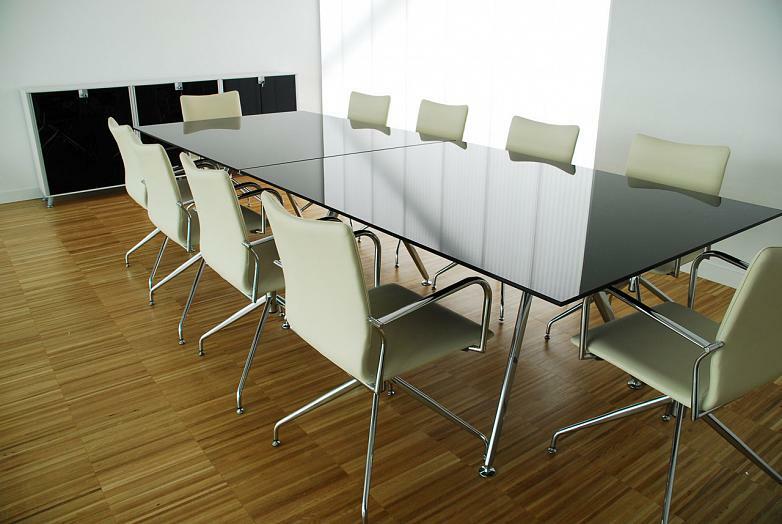 This is a program which provides maximum operativity thanks to the numerous configuration options. In this way, the Vital Plus in white has been combined with Urban Block chairs in colours to create carefree environments. 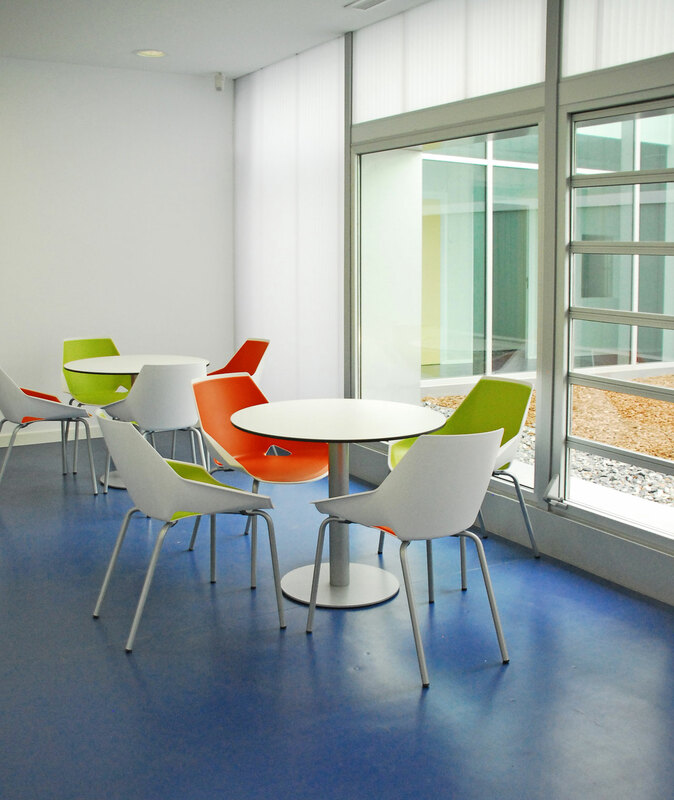 The ground floor also houses a cafe for its employees and different waiting areas. 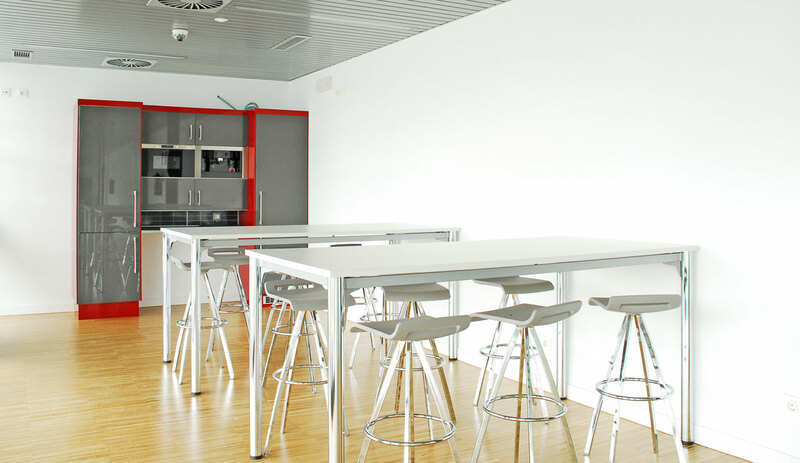 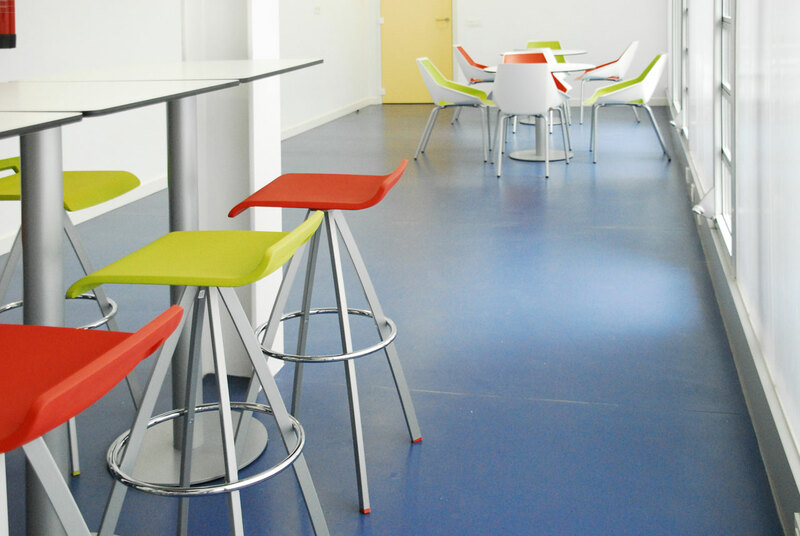 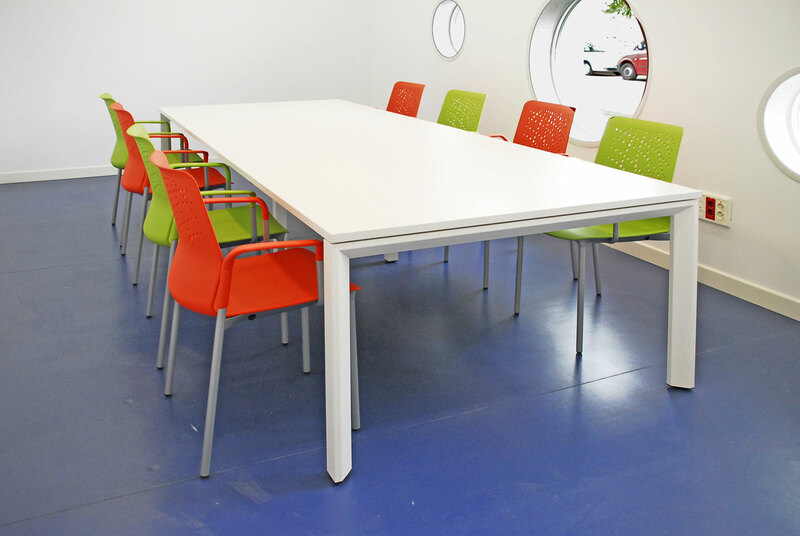 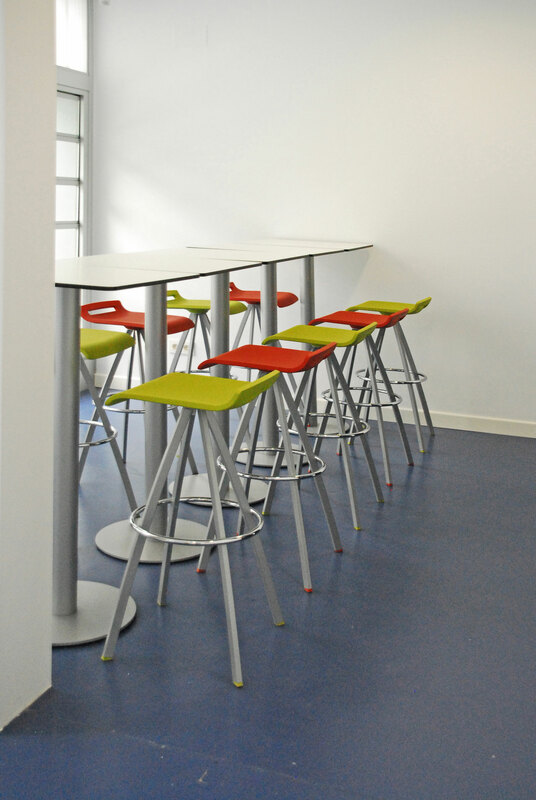 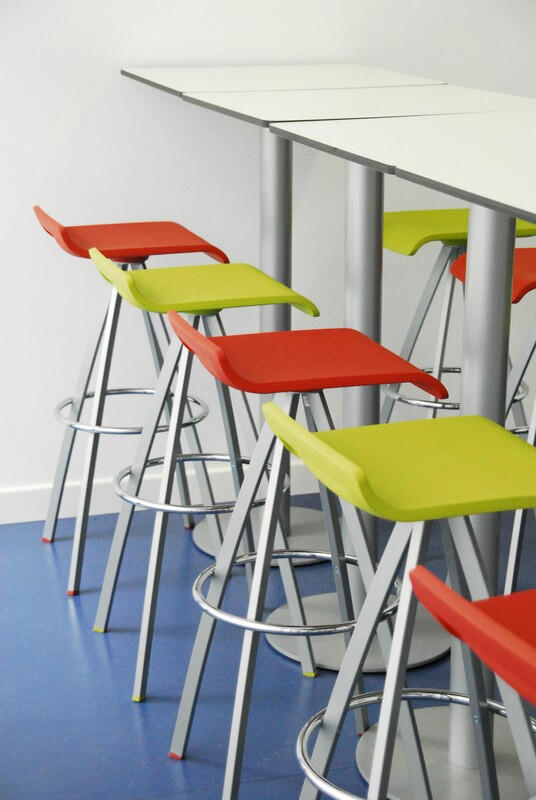 The Circular Base and Cool E100 desks, are presented in different heights, have enabled the development of two types of environments with different uses, one with high Mit stools and another with Viva chairs, generating a cheerful and light environment in communal areas thanks to the wide colour range that these two seating programs offer. 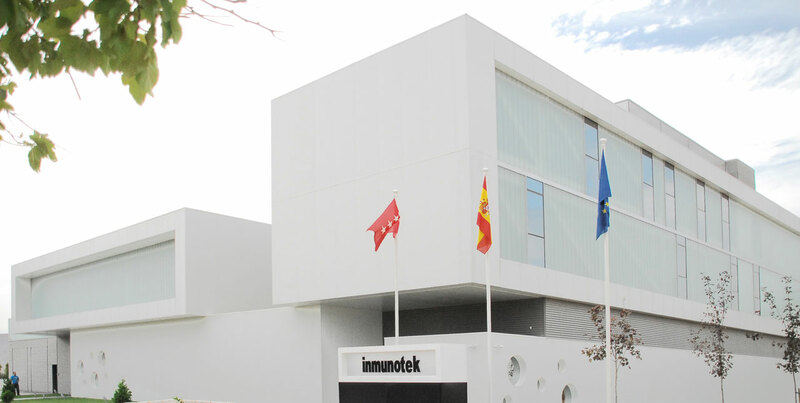 The productive process of Inmunotek requires sterile areas for packing, for which it has white rooms with a high level of classification in respect to this. 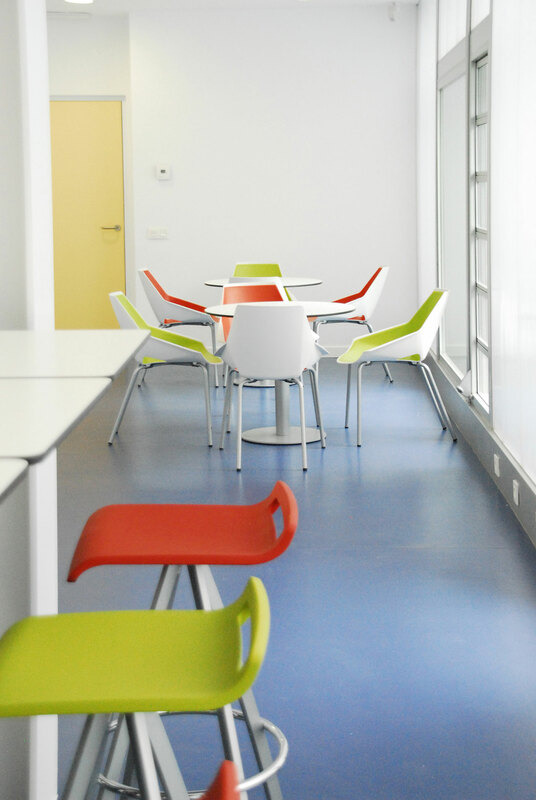 In all the spaces next to the laboratories the furniture is manufactured with ecological materials, easy to clean, an important requirement in a field where asepsis is essential. 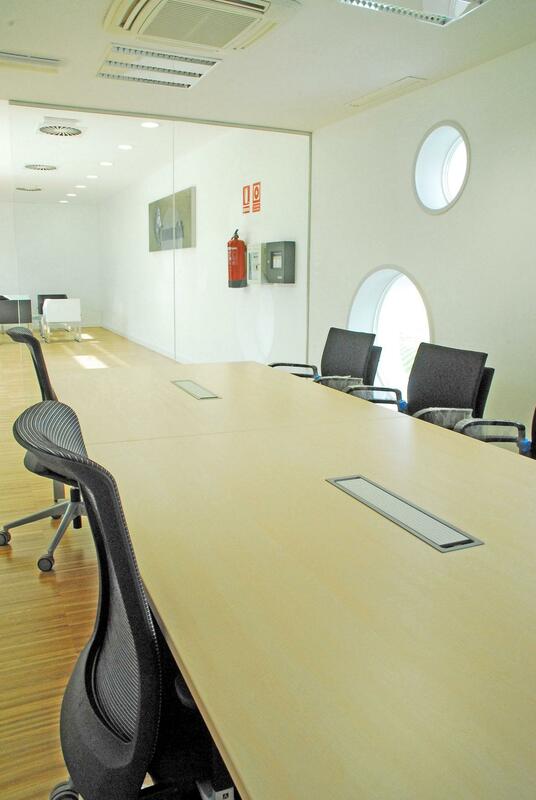 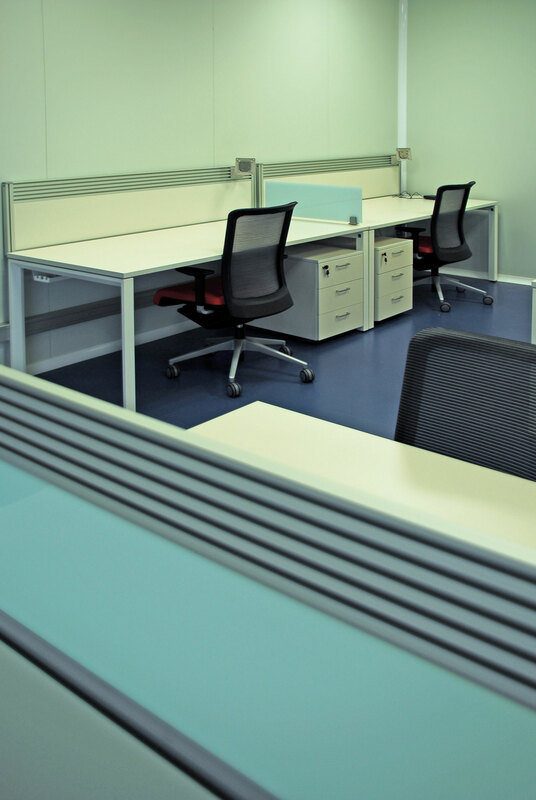 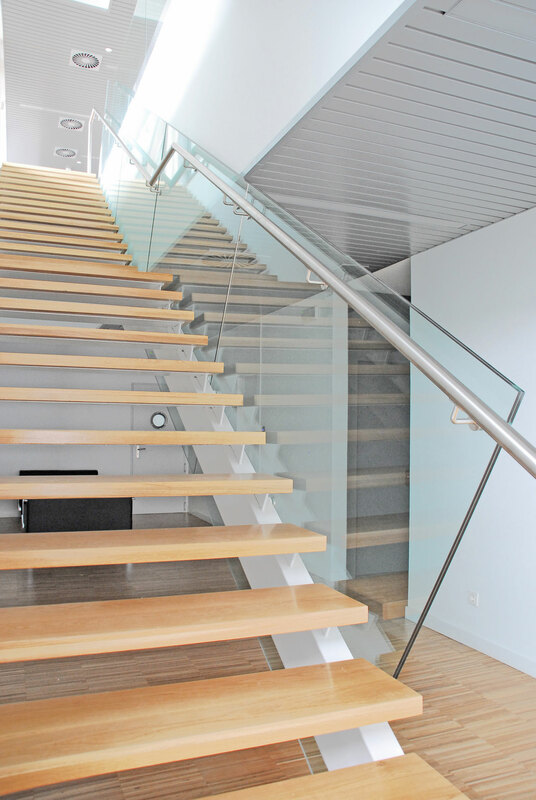 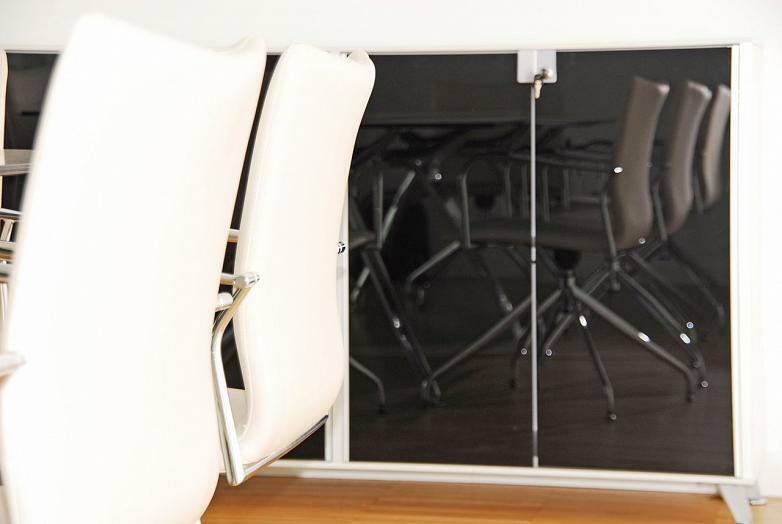 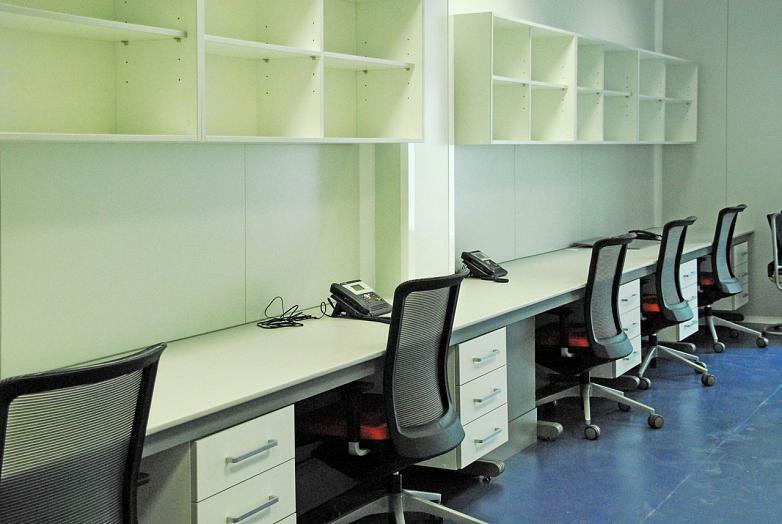 The first floor is designed for the commercial and administrative staff. 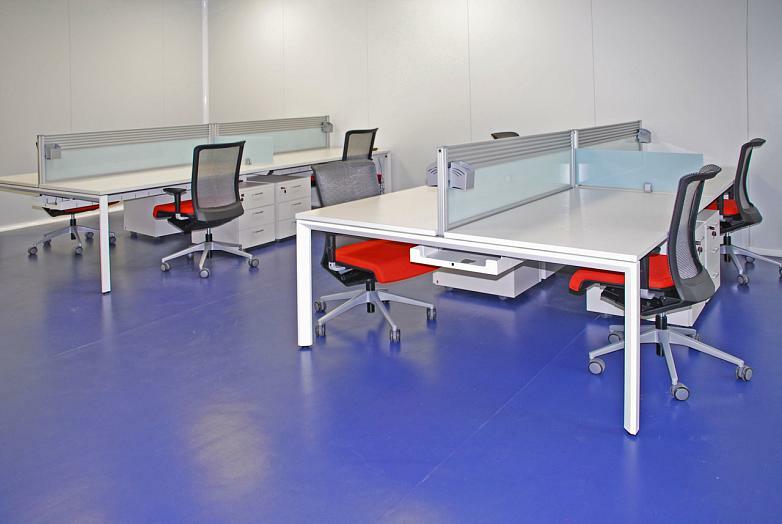 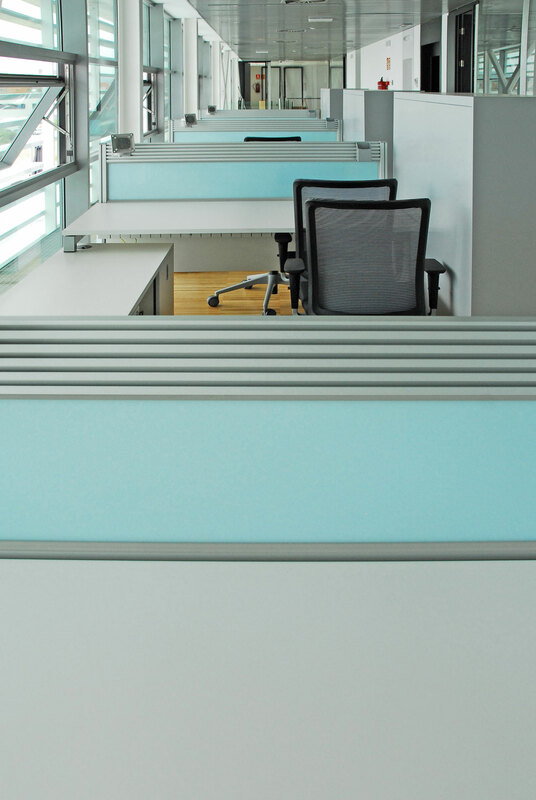 The work positions have been grouped together using Vital Plus desks with structure saving systems and moveable desktop boards to have clean and convenient access to the electrification outlets which are totally hidden. 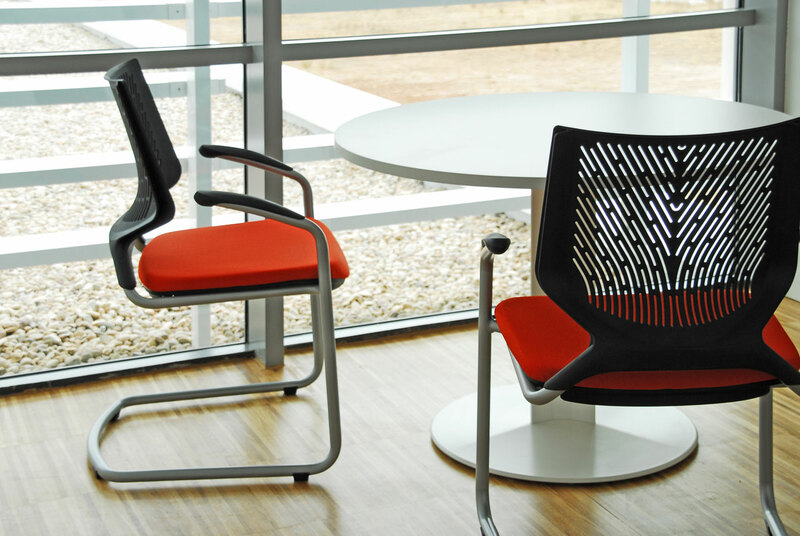 The operative chair Winner responds in a comfortable way to the mobility needs of all users, adapting itself smoothly to any position and minimising the user´s efforts to keep or vary a posture. 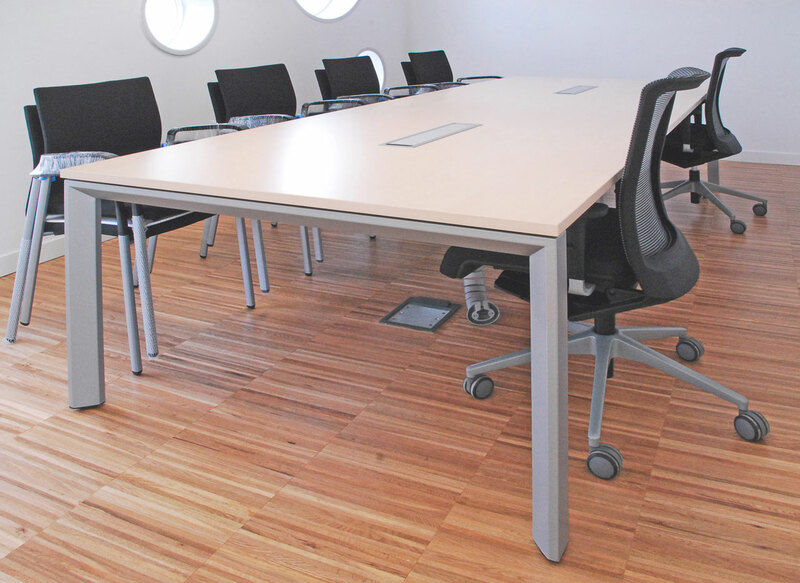 Split screens have been installed, which furthermore favours the privacy of each position, it has a rail system in which you can place document holders, pens and even a PC monitor, so you can work on two levels freeing up space on the desk. 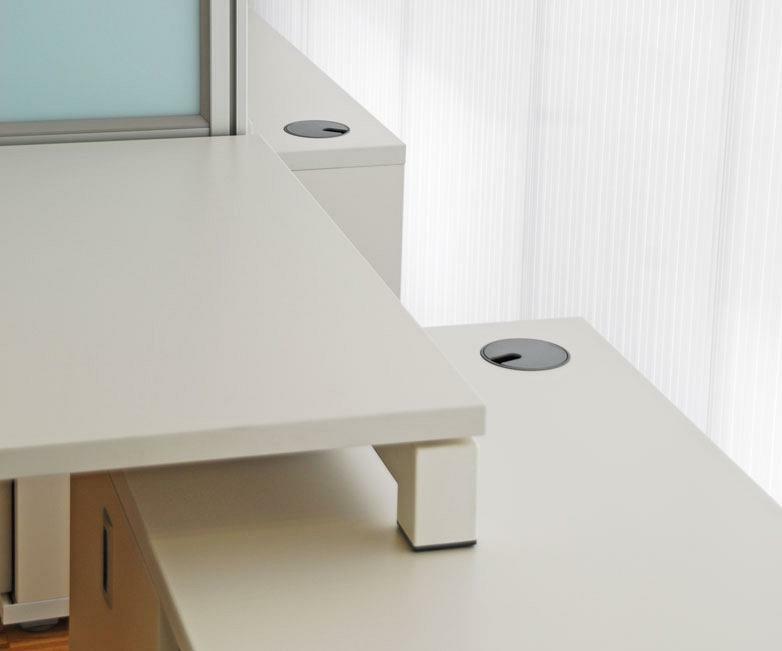 The filing needs have been covered by using pedestals, anchored to the desks or with castors, and with Modular cabinets alternating different heights according to needs. 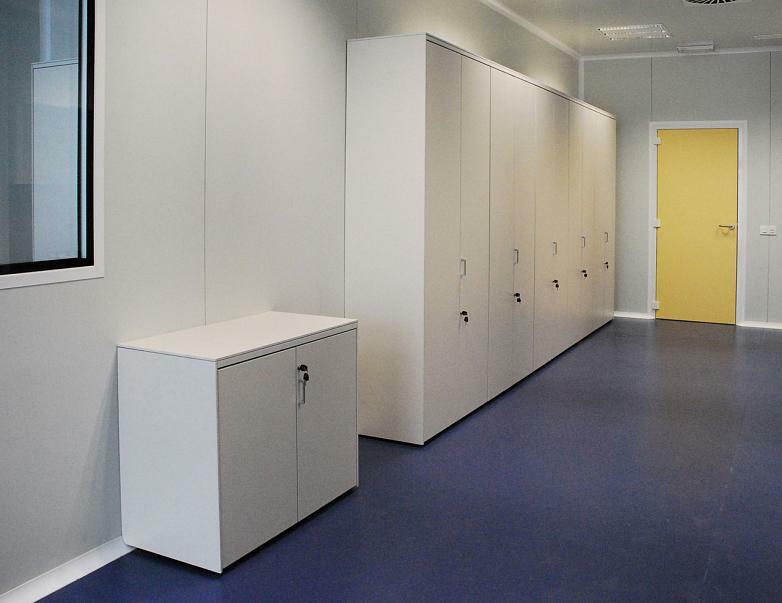 It should be noted that the file in the area of the laboratory, made by Actiu using made to measure cabinets with respect to hygiene and cleanliness of the mentioned space and adapted to the curved skirting. 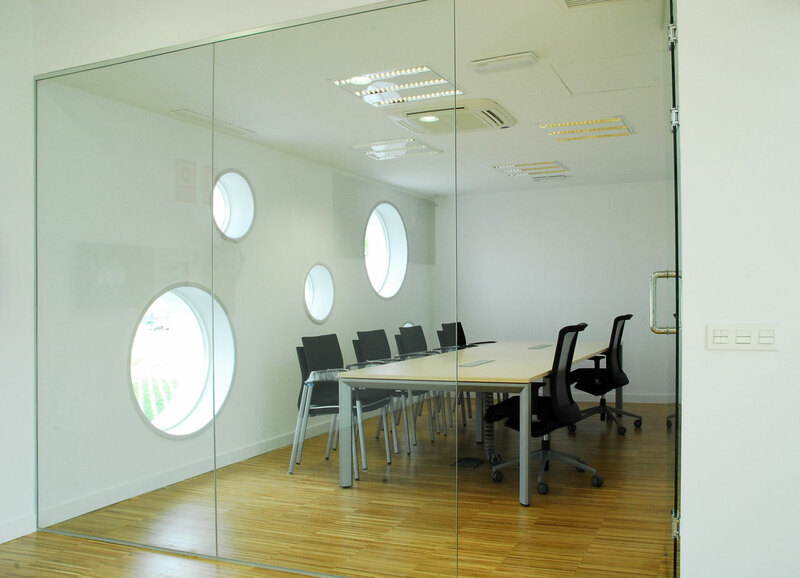 On the second floor the main area of the building , can be found with a versatile room for conferences and meetings, the board room and the executive offices. 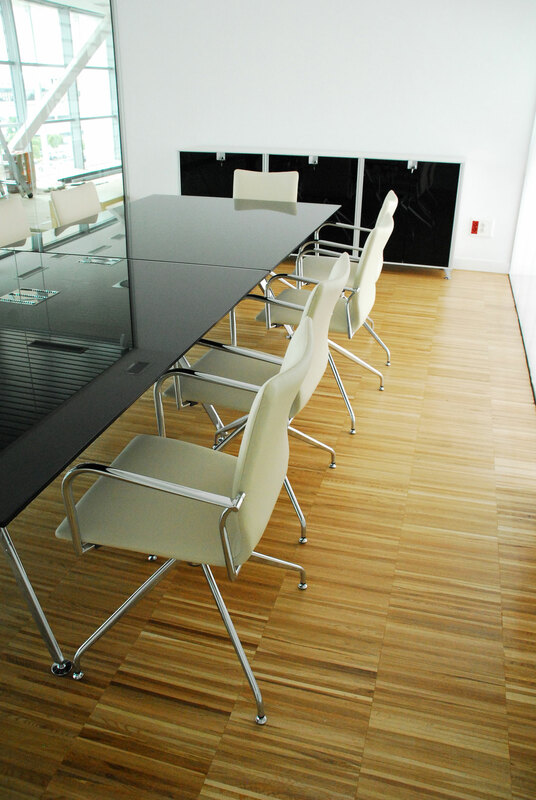 For this space a selection of exclusive furniture has been chosen , both for the products as well as for the design. 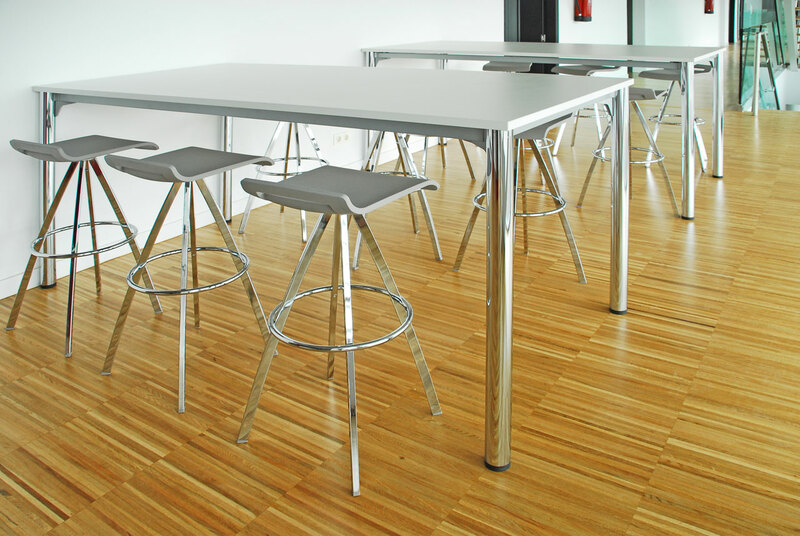 The avant-garde Arkitek desk was chosen, a robust structure which suspends a thin work plane in the air. 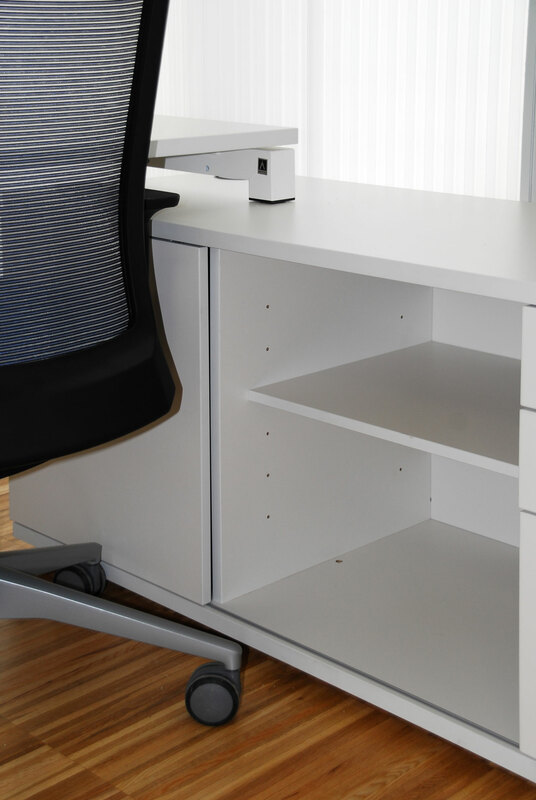 Block is the perfect filing accessory for configurations made with Arkitek, sharing finishes and materials, as well as a touch of sophistication and elegance. 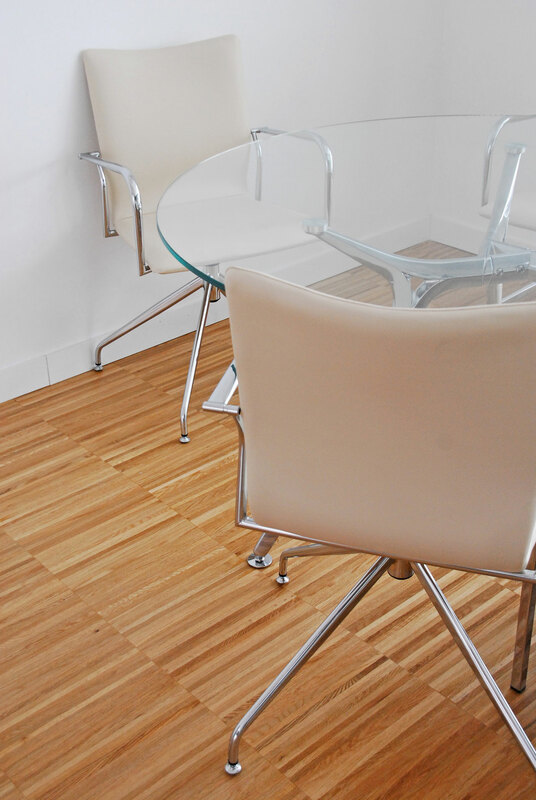 The Ikara, upholstered in cream leather with chrome legs and armrests, complete this installation.